temperature – Is It Getting Warmer? Nigel Lawson has done a remarkable job of explaining the basic problem with limiting the use of carbon based fuels in our world today. His argument doesn’t really take a side on the merits of the science but rather on the realities of economics. His opinion recently showed up in the Wall Street Journal and I have taken the liberty to include selected parts here. I suggest that you click through to read the entire article. Steve McIntyre of Climate Audit(one of the MMs of the Climategate emails) recently published an analysis and history of the “trick” that was accomplished and discussed in the “stolen” emails from the CRU of East Anglia. I encourage you to jump over to Steve’s article to read the full analysis but I would like to include a few paragraphs here in the hope that you will want more information that Steve supplies. David Harsanyi has an excellent editorial on the ClimateGate fiasco that has been dominating this blog and many others across the blogosphere. His editorial originally appeared on RealClearPolitics. He is allowing me to reproduce parts of it here and I encourage you to jump over to the full article to read more. Who knows? In the long run, global warming skeptics may be wrong, but the importance of healthy skepticism in the face of conventional thinking is, once again, validated. I first saw this on Net-Cool which is a great site to subscribe to for finding really interesting things on the web. This movie explains some of the reasons of concern for monitoring the increase in temperatures that we have felt since the 1960s. It is very well done and enjoyable to watch. Unlike An Inconvenient Truth, it admits that this is not pure imagery but some CGI has been done. If you can handle the bandwidth, you will see better graphics here rather than watching the embedded YouTube video below. 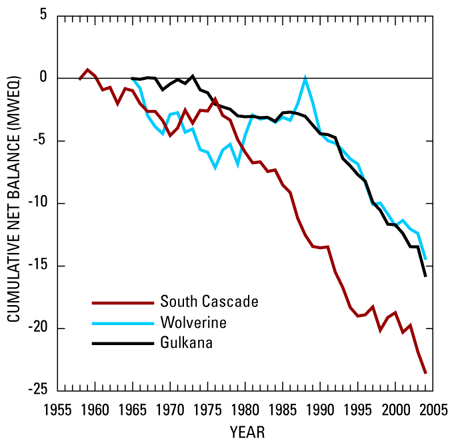 Are the glaciers our fault? I am often asked if the reduction of the size of glaciers is the fault of global warming. My standard answer is that I don’t know as the evidence is far from conclusive.